ProActive cushions for greater durability, accuracy and consistent ball response. 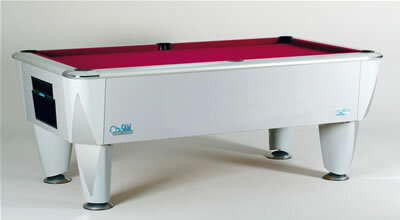 Europe's largest pool table manufacturer. Main applications: Serious pool sites, community pubs, leagues. Canopy packs, chrome security bar and Palam trolleys available. Available Finishes: Allegro (black marble), Silver Aluminium. Custom finishes on application.